Janice Sigger Baubonis has a birthday today. 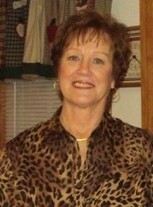 Corrine Lutter Martin posted a message on Janice Sigger's Profile. Hope your birthday was special. Have a Merry Christmas with your family. Janice Sigger Baubonis posted a message. New comment added. Happy New Year. Beautiful morning, clean snow what a sight.